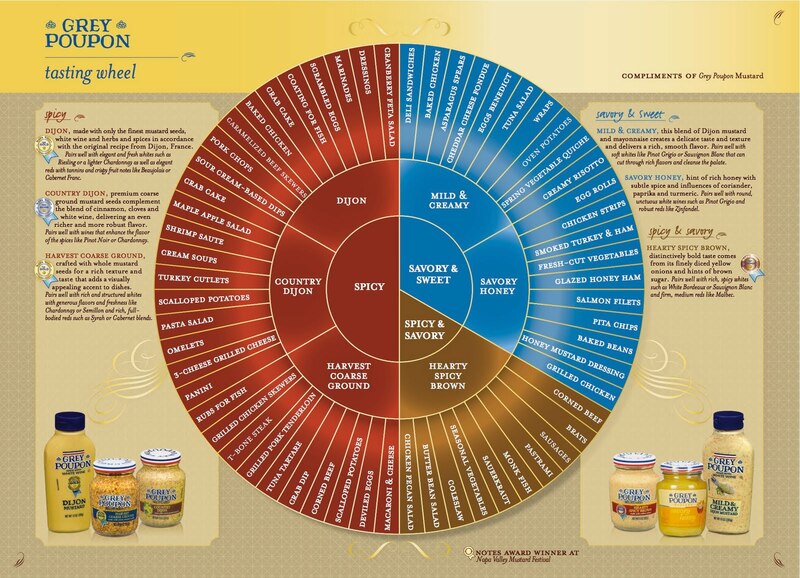 Curious about the difference between Dijon, coarse ground and spicy brown mustard? Knowing what mustard pairs best with your favorite foods and wines isn’t as easy as you may think! 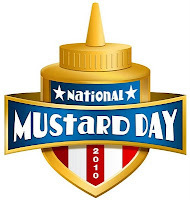 To celebrate National Mustard Day on Saturday, Aug. 7, Grey Poupon is demystifying mustards—setting the record straight on mustard flavors and pairings so you don’t have to. Not sure which mustard would best complement a turkey sandwich, glazed honey ham or grilled fish? Similar to notes in wine, mustard has spicy, savory and sweet flavors that can enhance a meal, but understanding the nuances and choosing the right mustard can be the key to culinary success. ● Dijon – Made with the finest mustard seeds, white wine, herbs and spices, Grey Poupon is America’s favorite Dijon and can be used to dress beef skewers and classic chicken, as a coating for fish or in salad dressings. Dijon harmonizes with light and elegant wines such as Riesling, Beaujolais or Cabernet Franc. ● Country Dijon – Rich and robust, premium coarse ground mustard seeds balance the blend of cinnamon, cloves and white wine in Country Dijon. 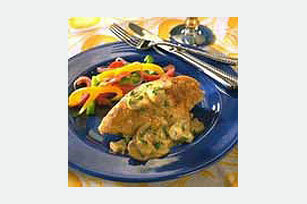 Serve in shrimp sauté, cream soups or salad dressings. Chardonnay and Pinot Noir enhance the flavor of the spices. ● Harvest Coarse Ground – A gold medal winner at the 2010 Napa Valley Mustard Festival, whole mustard seeds give this variety a visually-appealing texture. Harvest Coarse Ground best accompanies heartier dishes like grilled pork tenderloin or scalloped potatoes. Try with full-bodied red wines such as Syrah or Cabernet blends. ● Hearty Spicy Brown – Its distinctive, bold taste comes from finely diced yellow onion and hints of brown sugar. Add to cole slaw or use on vegetables, sausages and brats. This mustard pairs best with Sauvignon Blanc or Malbec. ● Savory Honey – Coriander, paprika and turmeric round out this mustard, which has a hint of rich honey. Savory Honey is delicious on ham, grilled chicken or in hearty baked beans. Serve with Pinot Grigio or spicy red wines such as Zinfandel. ● Mild & Creamy – A blend of Dijon mustard and mayonnaise, it has a delicate taste and smooth flavor. This variety is a match for simple foods such as deli sandwiches and asparagus. Enjoy with Pinot Grigio or Sauvignon Blanc. RINSE chicken; pat dry. Coat with flour; shake off excess. Heat oil in large skillet on medium-high heat. Add chicken; cook 6 to 8 min. on each side or until browned on both sides. Remove chicken from skillet, reserving drippings in skillet; cover to keep warm. ADD mushrooms to drippings in skillet; cook and stir 2 to 3 min. or until mushrooms are tender. Stir in mustard and wine. Return chicken to skillet; spoon sauce over chicken.